It's finally come—come to knock down our theater door! Disney's new musical Frozen will launch a North American touring production in fall 2019. 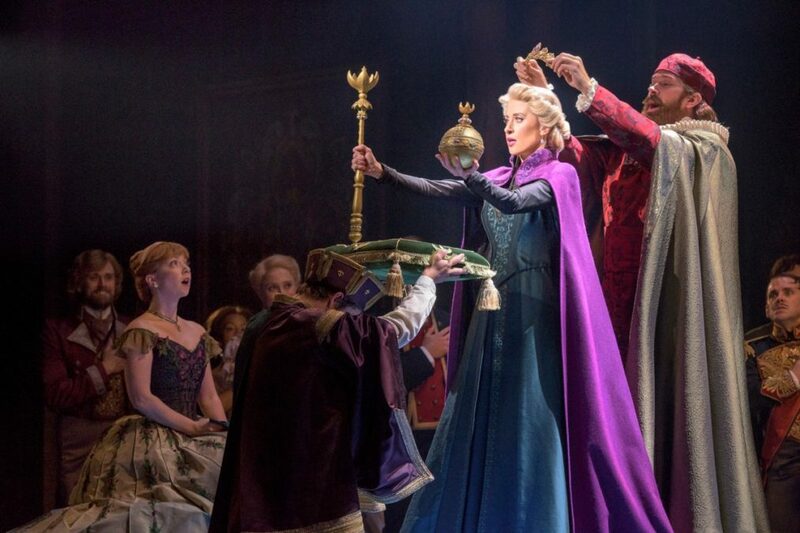 Nominated for three 2018 Tony Awards, including Best Musical, Best Score and Best Book, and nine Broadway.com Audience Choice Awards, Frozen opened March 22 at Broadway's St. James Theatre. The tour will kick off in Schenectady, NY, prior to an official opening at The Hollywood Pantages Theatre in Los Angeles. Tour cities and casting will be announced at a later date. Based on Disney's Oscar-winning film, Frozen centers on two sisters who are pulled apart by a mysterious secret. As one of them, Elsa, struggles to find her voice and harness her powers within, the other, Anna, embarks on an epic adventure to bring her family together once and for all. Frozen features a book by the film's screenwriter and co-director Jennifer Lee, a score by the movie's Oscar-winning music makers Kristen Anderson-Lopez and Robert Lopez, and choreography by Tony winner Rob Ashford. Tony winner Michael Grandage is the show's director. Joining Caissie Levy as Elsa and Patti Murin as Anna in the Broadway production are Jelani Alladin as Kristoff, Greg Hildreth as Olaf, John Riddle as Hans, Robert Creighton as Weselton, Kevin Del Aguila as Oaken, Timothy Hughes as Pabbie and Andrew Pirozzi as Sven. The musical's score includes all of the hits from the film, including "Let It Go," "Do You Want to Build a Snowman?," "For the First Time in Forever" and "Love Is an Open Door," as well as new tunes written for the stage, including "Monster," "When Everything Falls Apart" and "True Love." The original Broadway cast recording of Frozen was released digitally on May 11, 2018.